Spoon On World Cafe : World Cafe The band's latest album, Transference, features a little bit of twang to go with a lot of clean-sounding pop constructs. Hear Spoon perform songs from the new record on World Cafe. Spoon's is not a Cinderella tale, in which a struggling band is plucked from obscurity and releases its bedroom-recorded debut to universal fame and fortune. Instead, the Austin group's career has required plenty of patience and persistence. Early on, Spoon was dropped from two labels in the span of four years. But after venting its anger with a few vengeful songs, its members turned their focus back to writing tight, ingratiating pop songs — this time to more success. 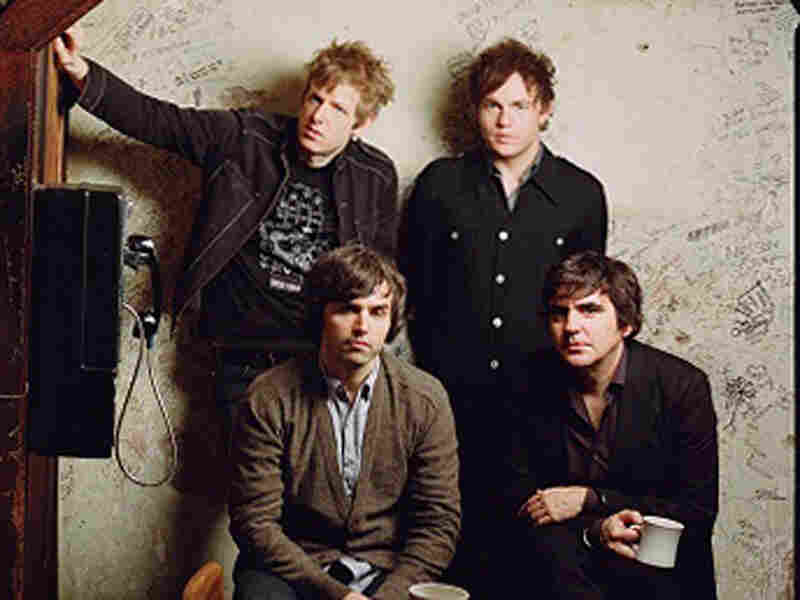 Spoon broke through with its third release, Girls Can Tell, and by its sixth album, Ga Ga Ga Ga Ga, it was hitting the top of the album-sales charts. The band's latest album, Transference, features a little bit of twang to go with a lot of clean-sounding pop constructs. Spoon will tour from now through May, moving through Europe and returning to the U.S. in time to headline NPR Music's March 17 showcase at South by Southwest. This segment originally ran Feb. 26, 2010.